Wow I’ve been doing this Year in Photos project for 24 days already… doesn’t time fly when you’re having fun! And I can’t believe my blog has had over 600 hits since I started it on 7th January, thanks everyone! I went in the kitchen earlier to start getting dinner ready when I realised I hadn’t taken anything out of the freezer… again. Oops. So after emptying cupboards and hunting through the freezer I found some frozen mince and some lasagne sheets (along with some other bits and bobs to put in it) so there was an obvious solution. And I’m glad because it was yummy and there is enough for tomorrow too. 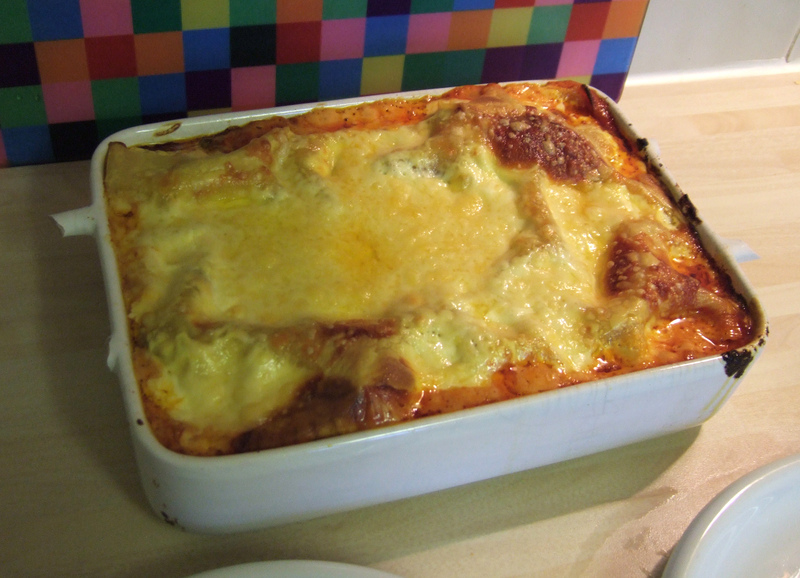 So here it is… today’s “emergency” lasagne! I love your idea for your blog and today’s one has made me hungry!